Sophie led a 7 Day Group Program at Sukhavati, Bali in October 2017. Find out how the retreat went and Sophie's personal experience with our Ayurvedic Wellness Programs. Michelle attended Sukhavati as part o the group retreat with Inkling Women in October 2017. Watch the full video to find out about Michelle's experience with our Ayurvedic, detox program. Lucy attended Sukhavati for a 7 Day Program in October 2017. Watch the video to hear all about Lucy's experience with our Ayurveda Detox Program. 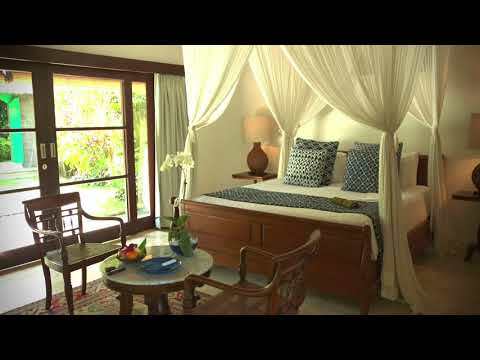 Find out what our guest, Kirsteen thought about her time at Sukhavati, Bali. Kerry visited Sukhavati, Bali for a 7 Day Program in October 2017. Watch the video to find out about Kerry's personal experience with our Ayurvedic, rejuvenation program. Tracey visited Sukhavati, Bali for a 7 Day Rejuvenation Program in October 2017 with the Inkling Women Group. It was a wonderful retreat based around personal growth, rest, detox and revitalisation for the whole group. 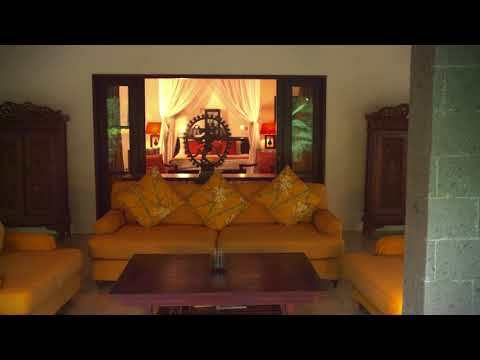 Watch the video to hear of Tracey's personal experience at Sukhavati, Bali. Sukhavati, Ayurvedic Retreat & Spa discussed on Triple M's Hot Breakfast Show with Eddie McGuire and Luke Darcy. Discussion around AFL Players and Coaches seeking out Yoga, Meditation and Ayurveda Health for ultimate performance for 2018 season. Sukhavati Indonesia Spa understands the significance of good health, and mental and emotional balance in your life. If you lead a calm and healthy lifestyle, your relationships, career and wealth all will prosper. Our Mengwi Badung Spa offer programs that help you gain health and wellness. Watch the sunrise over three tiers of the Sukhavati estate from your private meditation bale. Spend your days relaxing in your private, walled gardens featuring a beautiful pool and breakfast balcony creating a complete sense of privacy and relaxation. Magnificent marble floors throughout the villa create a sense of five star living. Sink into the beautiful four poster bed and look out to your private swimming pool and garden.This villa is the only villa on the Sukhavati estate to have an indoor bath tub for the ultimate in relaxation. Submerge in a warm bath and enjoy the spectacular views of the estate through the floor to ceiling windows into your private garden. Villa Maitreya is set overlooking the Bebengan River and is the closest villa to the Spa rooms. With its own swimming pool, open air lounge and impressively big bedroom, this is our largest villa on the estate. Nestled into a luscious garden is an incredible, private outdoor bathroom oozing traditional Balinese style. This villa is beautifully positioned next to the large estate swimming pool. Open the double doors to your own balcony with views of the jungle across the Penet River.Being right next to the main pool this villa receives a lot of natural light streaming through the sheer curtains. Enjoy the only Luxury One Bedroom Villa with a well-appointed and designed indoor marble bathroom for added luxury.